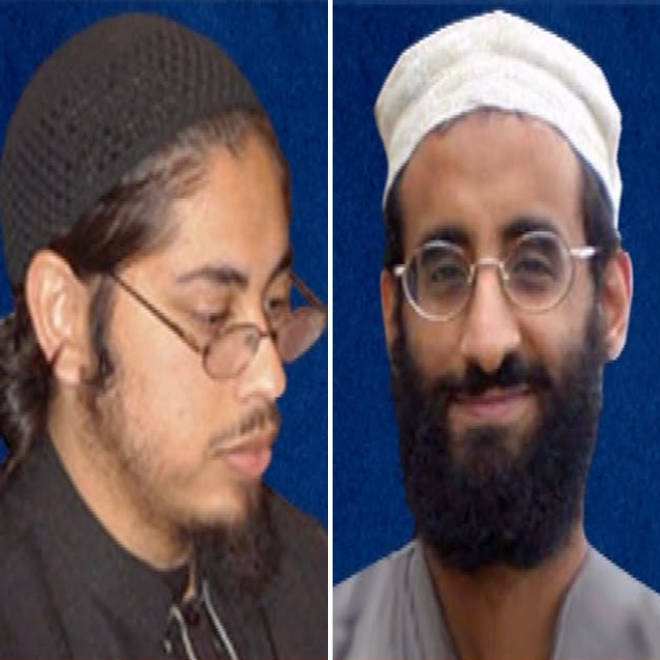 Samir Khan (left) and Anwar al-Awlaki, both U.S. citizens, were killed in in Yemen by an American drone strike. Anwar al-Awlaki, born in New Mexico, became well known for his fiery anti-American sermons posted throughout the Internet. Samir Khan, who'd lived in both New York and Charlotte, N.C., produced a magazine called “Inspire” that became known for its extreme jihadist views. Nassar al-Awlaki, grandfather of Abdulrahman and father to Anwar, said he tried to protect his grandson as Anwar al-Awlaki’s profile grew. Nassar al-Awlaki said his grandson snuck out of their Yemen home one night, leaving a note for his mother saying he would return in a few days. The boy never returned, killed instead while eating at an outdoor restaurant. The Obama administration has remained mostly mum regarding Abdulrahman's death, and at times has struggled to explain it. "I would suggest that you should have a far more responsible father if they are truly concerned about the well-being of their children," former White House spokesperson Robert Gibbs said to a gaggle of reporters in October. "I don't think becoming an al-Qaeda jihadist terrorist is the best way to go about doing your business." Anwar al-Awlaki’s ties to the United States go back to his father Nassar, who came to the country to earn a master’s degree. His son was born in New Mexico, and though the family returned to Yemen, Anwar al-Awlaki came back to the U.S. for college, eventually becoming an iman. Shortly after the Sept. 11, 2001, he became a popular spokesman for moderate Islam, and was often used to juxtapose perceptions that Islam is a religion that spreads hate. But less than a decade later, he was hiding in Yemen as a name on the CIA's kill list. “I eventually came to the conclusion that jihad against America is binding upon myself just as it is binding on every other Muslim,” he said in an audio message in March 2010. Conversely, Khan was never interested in the peaceful side of Islam. The New York Times reports that as a teen, Khan’s attraction grew exponentially to militant sites on the Internet after 9/11. Parental concerns and intervention from community leaders proved unsuccessful. Khan was 25 when he died in Yemen. In July 2012, Samir Khan’s mother, Sarah, joined Nassar al-Awlaki in a lawsuit against four senior national security officials. “I don’t really necessarily agree with some of the things Anwar said against the United States, but does that mean they should kill him outside the law?” asked Nassar al-Awlaki. Update: A fourth American-born citizen, Kamal Derwish, was killed by predator drone in Yemen in 2002. Derwish was not the primary target of the strike, but was riding in an SUV carrying an al-Qaida leader.